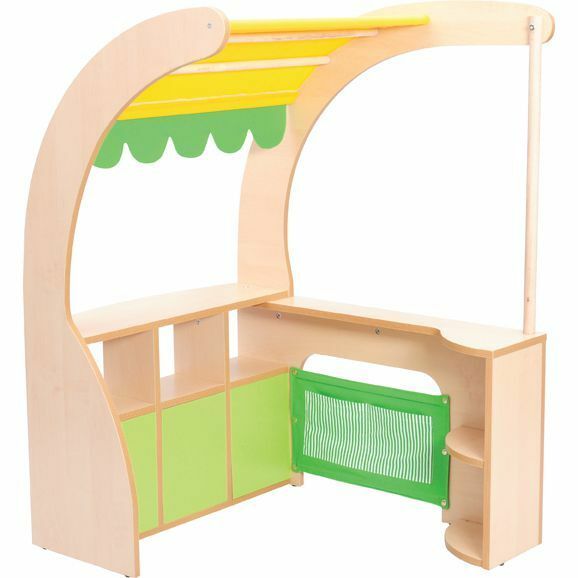 Designed for use in early year’s environments, our corner market stall is a fantastic addition to our premium selection for role-play props. Introduce children to the realities of buying and selling through fun to learn. The stall Includes little shelves, a fabric roof, two trading counters and fabric pockets for storage. Made from a laminated board which can be wiped clean. Accessories in the image can be purchased separately. Suitable for children aged 3+.